A must for all miniature railway enthusiasts. 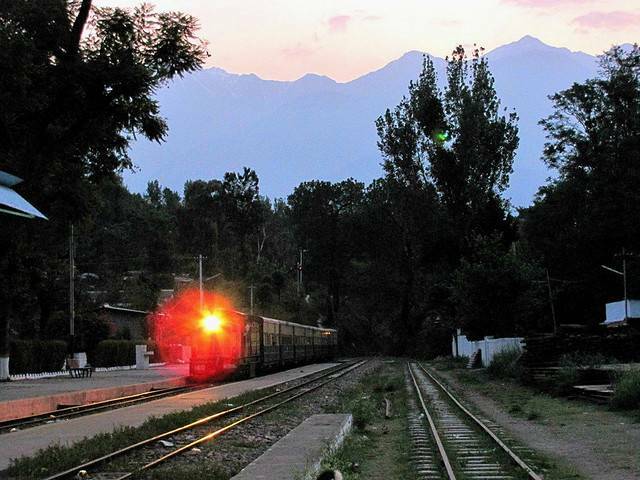 Jogindernagar is the station location to the Pathankot to Jogindernagar narrow gauge railway. Running high in the hills of the Kangra valley, this railway commands spectacular views of natural and man-made wonders in the valleys below. A spectacle and a marvel, the train travels at a pace that will surprise. For those that wish to travel, accommodation is in 1st or 2nd class. Book early so as not to disappoint.